This little "maggie" as my friend calls them is from the Summer Kit. 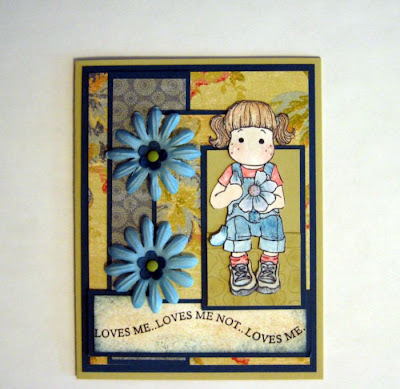 Tilda looks so sweet :) I used the K & Co. paper pack again which matches Not Quite Navy and River Rock SU card stock. The sketch challenge is from last week on SCS. I put a little Stickles in the center of the flower and stamped the stone wall on another piece of river rock CS and put it on the main image piece for her to sit on. Kind of hard to tell. I need to get makin' cards again! I have run out of cards to post so hopefully I will get time to do some today. I am working out a lot, doing my Couch-to-5K running, doing my treadmill, taking pilates, riding my bike and today is Body Flow which they are taking up a lot of my spare time! Tomorrow is Zumba - woo hoo I have heard a lot about this and it will be my first time. 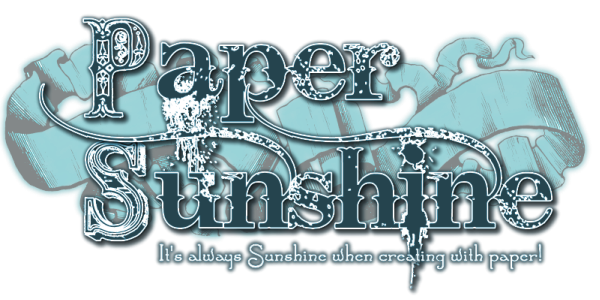 I need my card makin' relaxation time though :) Bye for now! Love the card! Wow! I am tired just reading about all the exercise you are doing! It's all good, though. I need to exercise more. Very inspiring, Lori. Very sweet. I like the blue color.